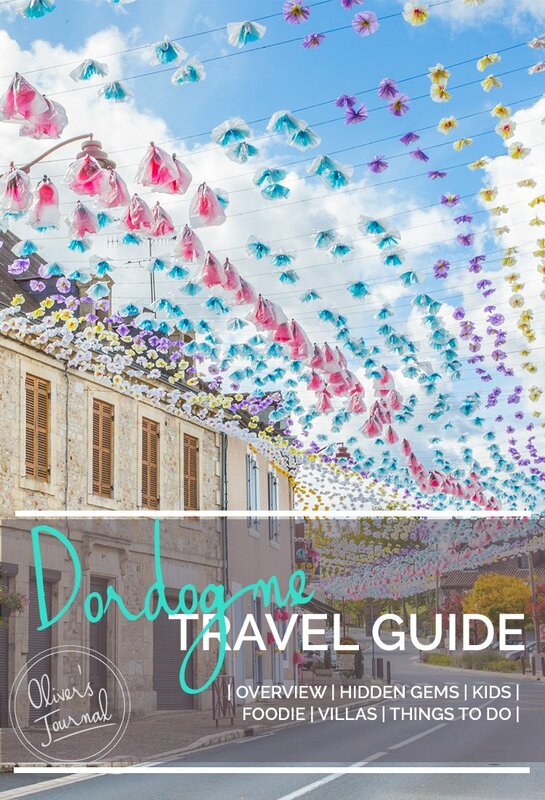 Our handy Dordogne travel guide is here to make sure you make the most of your trip – and don’t forget we’ve got a gorgeous selection of luxury villas in the Dordogne for you, your friends and family to stay in. For harried city dwellers, Dordogne’s bucolic natural beauty is nothing short of nirvana. 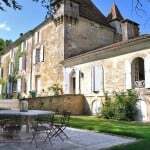 A sunny, serene and welcomingly lazy corner of the country dotted with chateaux and picturesque bastides, entering the Dordogne is like yielding to a pleasant, meandering daydream. Nothing of note may be happening, but you don’t want it to end… and there lies its appeal. Enriching the Dordogne experience are the drool-worthy dinners, where duck, black truffles and goat’s cheese take pride of place on the table alongside excellent local wines. Lascaux IV – Examine replicas of the famous Paleolithic paintings. 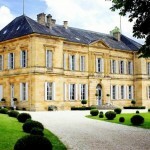 Chateau de Hautefort – Wander the grounds of this elegant fortified château. 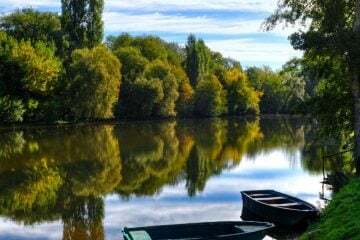 Dordogne River – Hike on the banks, kayak or drive along this tranquil waterway. 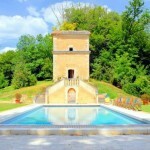 Gardens of Marqueyssac – Play hide and seek in the maze of impeccably sculpted hedges. Saint Front Cathedral – Admire this multi-domed Byzantine church, the largest building of its kind in Aquitaine. La Roque-Gagnac – Visit this stunning village, ranked among the ‘most beautiful villages in France’. Grotte de Rouffignac – View prehistoric graffiti at this colossal tri-level cavern. 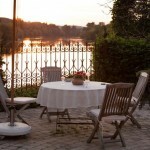 The Dordogne can be visited year-round. 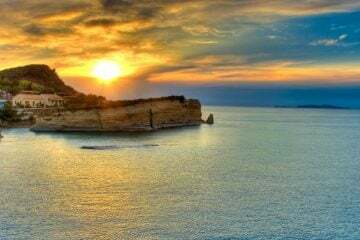 The majority of holidaymakers come in July and August for obvious reasons. This is when the weather is at its best: it’s typically sunny and around 35 degrees Celsius, though there is the odd evening storm. Summer is also the liveliest time in Dordogne and there is a high chance you’ll stumble across a fete, fair or celebration, or even one of the seasonal evening markets, where you can enjoy cheerful al fresco meals with locals. No prizes for guessing the downside of visiting the Dordogne in summer. You will, of course, be joining the crowds, which means roads, restaurants and popular attractions will be busier. Late spring and early autumn are quieter alternatives, though the weather at these times may be marginally more changeable. If swimming and sunbathing aren’t a must for you, consider coming between October and April. During the colder months, the summer crowds will have well and truly dissipated revealing a side of Dordogne rarely seen by travellers. There is often mist, frost and even an occasional dusting of snow in the valleys. For ardent gourmands, there is yet another reason to forgo the warmth of summer: black truffle season, which runs from December to March. Bear in mind that many of the tourist attractions and restaurants will close for the cold season, though some chateaux do remain open. Airports: Fly from the UK to Bergerac or Bordeaux, from where you can rent a car and continue your journey. Other airports: Brive Vallée de la Dordogne, Perigueux airport, Aurillac Tronquiere airport. By Ferry: The best ferry ports to reach Dordogne region are in the north-east of France, at St Malo or Cherbourg. Brittany Ferries sails from Portsmouth to St Malo and also offers services from Portsmouth to Cherbourg alongside Condor Ferries. Other options include Caen, where Brittany Ferries sails from Portsmouth, and Le Havre, which is served by LD Lines. Public transport: Getting around the Dordogne without a car can prove restricting. Sarlat is the main public transport hub, with trains connecting it to other regional destinations including Bergerac and Le Buisson-de-Cadouin. Train services in the region are slow, irregular and infrequent. Buses, alas, are even worse. By Bike: The Dordogne has lots of scenic bike routes, though the region is hilly in parts, so cyclists should be prepared for taxing uphill slogs. On the flip side, there is an almost limitless selection of gorgeous villages in which to stop for rest and refreshments. Hiring a car: The Dordogne’s exquisite rural landscapes and generally quiet roads make driving enjoyable. Car rental companies such as Europcar and Avis offer pick-ups direct from the region’s major airports. By Taxi: If you don’t hire a car, then there are plenty of taxi companies operating in the Dordogne area, such as Taxi Faugére and Taxi Cy. You can find a larger list of providers here. Rise early for the Périgueux Market and marvel at the sheer variety of foie gras, meat, cheese, fresh bread and just-plucked fruit and vegetables for sale. The market’s setting, under the shadow of the city’s magnificent many-domed cathedral, is stunning. The fantastically laid out Vesunna Gallo-Roman Museum allows its visitors to play archaeologist for the day as they gaze directly down through a glass panel into the excavated remains of a first-century residence below ground. The Chateau des Milandes manor house functions as a monument to vaudeville superstar Josephine Baker who once lived here. A museum inside pays homage to the singer’s colourful and intriguing life. Night markets, or marchés nocturnes, are an integral part of life here in the Dordogne, and a great excuse for the villagers to eat, drink and be merry. Join in on the fun at Loubejac’s evening fete, which takes place on Thursday evenings throughout July and August. Don’t give away your neophyte status by arriving empty-handed; seasoned night-market visitors bring their own knife and fork. A sleepy, one-church hamlet surrounded by forest, Urval goes without mention in most guidebooks, but we think it’s worth a gander if only to experience its authentic yesteryear charm. 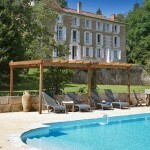 Its Périgourdine-style architecture and 14th-century communal bread oven harken back to days gone by. You’ll be surprised at just how much the Dordogne’s caves, rivers and walled medieval citadels seem to appeal to younger travellers who can explore, paddle and swim to their heart’s content. In addition to nature’s charms, there are adventure parks, aquariums and child-friendly museums too. 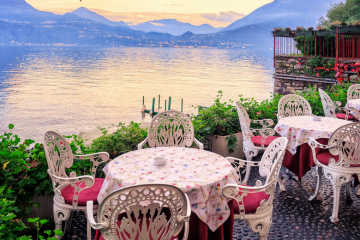 Best of all is the laid-back locals’ attitude to children: many of the restaurants, farms and wineries you visit will be family-run and most owners of such establishments go out of their way to make sure you and your little ones feel truly welcome. Dotted throughout the Dordogne’s landscape are countless numbers of beautiful castles and chateaux – kids will have a blast exploring them and exercising their imaginations! Chateau de Castelnaud goes one better and has battle recreations, armour workshops and live demonstrations of trebuchets – fiercely impressive medieval catapults! The landscape is great to explore in and of itself – you could go on nature hikes, cycle around or even grab some paints and try recreating one of the spectacular views together. If you want to tour around in style, you can use Ze Chauffer to drive you around – you can even personalise your tour to your family’s taste. Descend below the views and visit some of the region’s impressive caves and grottoes with the kids. Lascaux is by far the most famous, but a guided tour around the Cave of Font-de-Gaume will show you genuine cave paintings, unlike Lascaux’s reproductions. We’d be remiss if we didn’t mention the river! There is plenty of activities to enjoy on the water, and the scenery is breathtaking. One of the most popular things to do is canoeing or kayaking – and it’s pretty gentle, so kids of all ages can enjoy it. Canoe France is a good place to start. Though it has less than some of the more commercially developed areas of France, the Dordogne has its fair share of amusement parks to keep the kids happy. Aux Etangs du Bos is a great water park that’s perfect for a summer day trip, while Les Villages Bournat is a historical park that’ll take the whole family back in time. If you’re looking for more family ideas, be sure to check out our post on the best kid activities in Dordogne. Known as the “Voie Vert” (the “Green Routes”), several routes through the Dordogne countryside completely ban all motorised vehicles, making them perfect for families on their bikes (or on foot or horseback, for that matter). 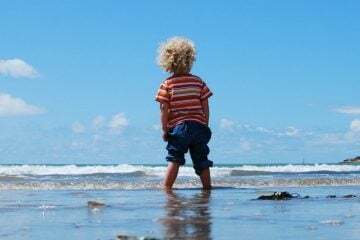 Some of them might be a bit lengthy for younger kids, but a short trip down them will be a great way to introduce them to the fantastic views and brand new landscapes. The route from Trelissac to Marsac sur l’Isle follows the river. It has plenty of rest stops too, making it a nice, gentle run. The route that takes you from Vialard to Grolejac also takes in the river, but goes a little inland too for a change of scenery. This long route can be done in full or in part if you feel like a more leisurely day. The green route through Saint-Pardoux-la-Rivière in Thiviers takes you into the heart of the country – it’s totally unspoilt and makes the most of the beautiful countryside. 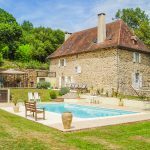 Gathering your nearest and dearest for a summer get-together in a Dordogne mansion may be the best decision you’ve made all year. Good wine, good food, good weather and good company? Sounds like a no-brainer. At a loss for where to begin? Never fear, we’ve already done the legwork, compiling a list of some of the best group outing ideas for grown-ups in the Dordogne. Get spelunking! There are loads of caves in and around the Dordogne, and while we don’t recommend striking off on your own there are a great many that offer guided tours, whether you’re looking for paleolithic treasures or just some impressive underground landscapes. Gouffre de Padirac is a particularly dramatic example of Dordogne’s caves, and the descent into the depths (and the accompanying boat ride!) are truly impressive. Dordogne is the ideal place to explore by bike, whether you just fancy a little ramble to the nearest boulangerie or a route that’ll challenge both your fitness and your thighs! If you don’t want to lug your own cycle over, there are plenty of hire places to choose from – Liberty Cycle is well worth a look. And on a similar note, a time-honoured way of enjoying the best of the Dordogne is on the river – you could try a boat, though hiring a canoe or kayak is a great way to start! Canoe Roquegeoffre Port D’Enveaux hire out boats, and can even help you out with what routes to take. 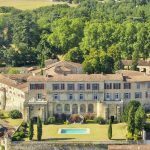 There are loads of French mansion houses and country estates to be explored, where you can revel in the past and the splendour of bygone eras. Jardin Eyrignac opens its beautiful gardens to visitors, and hosts a number of workshops adults are bound to enjoy. 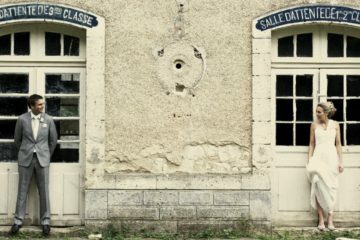 France’s landscapes and cuisine aren’t the only legendary things about it – there’s the culture too! With theatre, opera, music and film, there’s bound to be something that you’ll find entertaining and enlightening. For something a little risqué, try the cabaret shows at Le Music Hall in Bergerac. Want more to explore with friends? 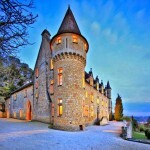 visit our blog on the best group activities in the Dordogne! 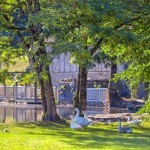 Dordogne’s gastronomic scene tends to be dominated by one little creature: duck. You’ll find one or several duck dishes on almost every menu in the region. From slow-cooked duck confit, sautéed breast and smooth foie gras all feature heavily in the region’s cuisine. Walnuts also flourish in the Dordogne and are used not just in their raw form, but to make oil, wine (vin de noix), cheese and bread. Truffles and cèpes, so prized by gourmands, are also mainstays on Dordogne’s culinary scene. 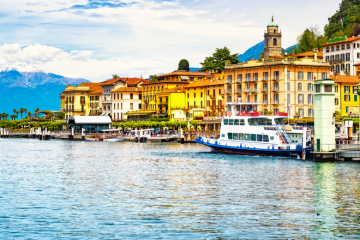 Every budget is catered to, with inexpensive truck-stop restaurants and farmers’ markets offering bargain dining deals, while fine-dining establishments plate up extravagant, once-in-a-lifetime Michelin-star meals. Wine-wise, you’ll be spoilt for choice. The Bergerac area is the Dordogne’s main wine-producing region and includes everything from dry whites (Bergerac and Montravel) and full-bodied reds (Pécharment) to dessert wines (Saussignac and Monbazillac). If you’ve got the kids with you and want to introduce them to the wonders of food not covered in orange breadcrumbs, head to Restaurant Nicolas L. It’s a family-friendly introduction to haute cuisine that offers a children’s menu. La Pate a Max in Sarlat is ideal if you fancy a change from the standard French fare – its speciality is homemade pasta in a range of mouthwatering sauces, and there are some good vegetarian options on offer too. 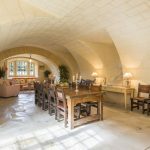 Saint Astier’s Le Relais De La Ganache restaurant creates a new menu each day based on what ingredients are fresh and available, and larger groups can even chat to the chef to discuss a menu especially for them. How’s that for personal service? And just for a change, why not indulge in MG Burger in Périgueux? It’s far from your average burger joint, and you can enjoy French twists on the beefy staple including foie gras and gambas. If these tips have got you inspired, be sure to take a look at our blog to discover more of the best foodie experience in Dordogne! The local goat’s cheese known as cabécou is well worth sniffing out, though you’ll often find it in salads served at bars and restaurants. The Dordogne is also famous for its walnuts, which you’ll find in cakes, pastries, oils and flours – as well as being a tasty snack on their own, of course. Dine out on magret de canard (pan-fried duck breast from the Moulard breed) or a duck gizzard salad. Chateau Feely in Saussignac takes pride in creating organic terroir wines that are a little out of the ordinary. They can arrange lunch to accompany your tasting and provide a fascinating introduction to wine making and their own particular ethos. 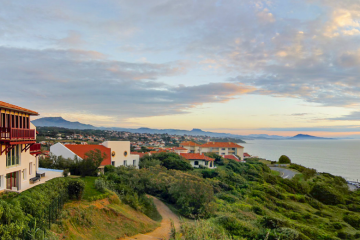 Want to take a little of that unbeatable South of France cuisine back with you? 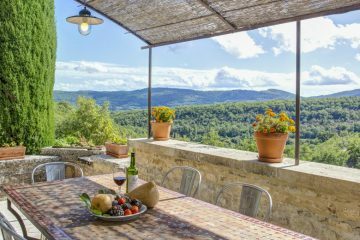 Le Chèvrefeuille Cookery School, found in Saint-Cyprien, will take you on a market tour to grab some ingredients before teaching you the secrets of whipping up a delicious, authentic meal. Bergerac Wine Tours are also great if you want to learn more about the region’s winemaking heritage – they’ll pick you up from your villa or chateau and take you around selected vineyards and wineries, so by the end you’ll be fully clued up on France’s most celebrated export. Got a sweet tooth? It’s well worth indulging in the Dordogne’s mouth-watering cakes and pastries, but make sure you check out the Bovetti Chocolat Museum in Terrasson-Lavilledieu. There are hands-on activities and a shop to pick up some treats to take home!